Happy New Year everyone! Have you made your list of 2017 New Year’s Resolutions yet? With this Christmas and New Year Holiday season drawing to a close, the time has come to start turning from the joy of the season to contemplating the realities and challenges of 2017. And one of the ways American’s make this transition is the annual Tradition of New Year’s Resolutions. This writer suggests that our politicians betrayals of the best interests of rank and file Americans and erosions of our Constitution and Natural and Constitutional rights in 2016 behoove each of us make at least one 2017 New Year’s resolution to address this intolerable situation. 2016 saw the rank and file membership of both the Democrat and Republican parties come to grips with their betrayal by the Establishment of their respective political parties. In 2016, Americans Built on their distrust of government precipitated by the 2015 exposure of Progressive Government’s asserted right to” lie to the masses because the masses are allegedly too stupid to know what’s best with them”, when Progressive Professor Jonathan Gruber was caught on video. In 2016, rank and file members of both major parties became more aware of betrayals by their own party’s leadership and tuned into their respective party’s departure from the party platform. 2016 saw both major party’s rank and file rise up and defy the Establishment’s preferred Progressive Globalist nominees. The Democratic Party leadership successfully smacked down their internal rebellion by having the the DNC leadership helping Progressive Hillary Clinton cheat Bernie Sanders out of the Democratic Nomination. Rank and File Republican’s found a non-traditional, first time politician who was willing to challenge the Republican Establishment 16 Progressive Globalist RINO nominees. With his own money, Donald Trump Thwarted the US Supreme Courts draconian Campaign Finance rulings which attempted to ensure that only persons supported by the one American Progressive Tyrant Class pretending to be two major parties could fund a successful campaign for President. Despite American’s Crony Main Stream Media rigging the debates, pushing FAKE NEWS unfavorable to Donald Trump and publishing phony FAKE NEWS Polls showing Progressive Hillary Clinton leading by double digits, Donald Trump won the 2016 Presidential election. In 2016, even Democrats had to admit Obamacare was NOT what was promised*. Our government has finally been admitted that Obamacare is a colossal financial boondoggle. Yet again, our government failed to secure our borders and let unknown numbers of terrorists into the country. Our politicians accelerated their abdication of power to the United Nations, and betrayed our loyal ally, Israel. Establishment Republicans joined with Establishment Democrats in selling the America Middle Class worker down the river; ObamaTrade aka Trans Pacific Partnership (TPP) exports yet more American jobs out of our country and is the next step in the Progressive Tyrant Class’s march towards a New World Order. Establishment Politicians moved further towards their ultimate goal of making every rank and file individual’s unalienable Natural Rights subordinate to the will of Progressive Government Educated Elites. In a first step toward limiting Free Speech, our 1 Progressive Tyrant Class Establishment pretending to be 2 major political parties, transfer control of the Internet out of our country on October 1, 2016. And the Progressives stepped up their efforts to take our guns. 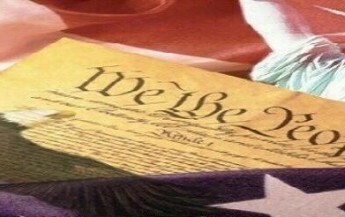 The bipartisan agreement on most these issues evidencing the fact that both Establishment Republicans and Establishment Democrats are implementing a fundamental transformation of America, contrary to the content of the Declaration of Independence, the Constitution, Natural Law and the vision the Founding Fathers had for America. Rank and file Republicans and rank and file Democrats need to recognize their common enemy is Progressives in the leadership of both parties. Please stopped being baited into the Progressive Tryant Class’s divide and conquer politics. Stop by Crony Main Stream Media framing of American politics to facilitate the continuation of these divide and conquer tactics. It is amazing that the majority of Americans do not trust Crony Main Stream Media but accept the false Left/Right two party narrative Crony Main Stream Media perpetuates at face value. Stop it. The Establishment of both parties depart from platforms of their respective parties but the rank and file of the opposing party blames the “entire” opposing party for the trespass. Stop it. Lets start identifying the enemy as Progressive RINO’s and DINO’s and unite to stop them. This writer ends with requesting the rank and file of both major parties recognizing the establishment of both major parties are the problem, not the rank and file of the other party. To that end, I would ask rank and file Republicans to stop labeling all Democrats “Libtards”, etc. Their are true Center-Left Democrats who just as concerned about the Progressive Globalist as are Center-Right Republicans. In fact, Center-Right Republicans and Center-Left Democrats more in common with each other than they do with the Progressive Establishment of both parties. I hasten to remind conservatives a lot of Democrats crossed over and vote for Donald Trump. And more elections are around the corner in 2018 and 2020. Republicans, please use 2017 to work to create unity rather then animosity with Center-Left Democrats.In this writer’s humble opinion, Republicans should work to out the Progressive RINO’s in the Republican party, and then invite Center-Left Democrats to join us. And, failing that, in this writer’s humble opinion, Rank and File Conservatives should join with Center-Left True liberals to form another party. Both Repubicans and Democrats can gain more perspective on the “Progressive Problem” here. Conservatives can get a Republican Perspective here. Liberals can get a Democrat perspective on Progressives here. 4. Parents, this writer suggests a resolution committing to 5 hours a month of politics and government involvement to secure the future of your children. Perhaps as a way to help hold yourselves accountable, you can give the gift certificates suggested at the bottom of this article, “Gift ideas for American Patriots” to your children as birthday and/or graduation gifts or belated Christmas gifts? Parents, if your number one priority this year is not getting involved in politics and government to secure the economic welfare, freedoms and liberty of your children, your pronouncements of loving your children and being willing to do anything for them, will hence forward ring hollow. And for you men and fathers of the old school belief of what it means to be a man, now is the time for you to come to the aid and comfort of those less able to protect and provide for themselves. propaganda or belief system, be the source of my personal position on any issue. Do not let your political party tell you who your enemies are. Resolve to assert your personal positions on issues, even when doing so is contrary to your party’s position on the issue and/or may result in your being exposed to chastisement and ridicule from others. Resolve to quit allowing the two major political parties make the masses chase their own tails. The two major political parties distract the masses from their skullduggery and duplicity by dividing and conquering the masses with various issues; often deliberately framing issues in a manner that promotes division, rather than unity. 10.Resolve not prioritize your own personal comfort over the liberty and finances of future generations. Our Politicians have buying our votes on the backs of future generations of Americans. In addition, our government engages in unlawful and unconstitutional Progressive Conditioning and COINTELPRO operations against those who openly protest and oppose them. It is selfish and lacking in foresight for today’s rank and file American’s to trade future of succeeding generations for their own personal comfort. Such an attitude and philosophy will ensure that tyranny eventually secures its stranglehold on future generations of Americans. 11. Resolve to not vote for any politician who does not denounce the Progressive belief that Government Educated Elites have the “right to lie to the masses because the masses are too stupid to know what’s best for them”. Make them put their unequivocal denunciation of this repugnant asserting in writing. 12. Resolve to not vote for any politician who believes they and/or any other elected and/or government official are superior to the rest of us. Behind closed doors, this writer has been told “the masses don’t matter” and “the masses don’t care”. It was a travesty to see DOJ Lynch tell FBI Comey to give Hillary Clinton on 33,000 individual counts of Obstruction of Justice and then have Celebrities repeat this as evidence Hillary Clinton did nothing criminal. Politicians and Government officials cite their superiority to rank and file Americans with circular logic. First, these Politicians and Government officials assure you that you can trust them. Having convinced the masses they can trusted, these Politicians and Government officials then lie to the masses. The Politicians and Government officials then cite the masses’ gullibility in believing their lies as evidence of their superiority to the masses. Therefore, this writer suggests you RESOLVE to no longer be duped into believing their lies. 13. Resolve to not vote for any politician, nor support any government official, that supports any portion of the Pro-New World Order Progressive Agenda. The Progressive Agenda includes, but is not limited to: Common Core, Trans Pacific Partnership (aka ObamaTrade), Agenda 21, Eugenics, Open Borders, unbridled immigration, Net Neutrality, transferring control of the Internet outside of the US, Keynesian Economics, less transparency and accountability of government and government officials, making an individual’s Natural and Constitutional Rights subordinate to the will of government educated elites, creating two classes of Americans and asserting government’s right to lie to the masses because the masses are too stupid to know what best for them, and dismantling the US Constitution. 14. Please ask each of your US Senators and US Representatives these six questions and demand a written, understandable, non-evasive answer to each question: Ask them: * Why do WE THE PEOPLE pay interest to the privately owned Federal Reserve Banking System to get back our money that only Congress has the Constitutional authority to print? * Please explain how the privately owned Federal Reserve (Banking) System’s Debt Based Money that creates a debt to this private bank that can never be paid off is not a violation of the 13th Amendment’s prohibition of involuntary servitude. * Why do WE THE PEOPLE pay the private owners of the privately owned Federal Reserve Banking System $25 Billion per year, on top of the interest WE THE PEOPLE pay to get our own money back? * How much money do Fractional Reserve Banking Institutions create each year? * How much do these banking Institutions pay each year in licensing fees to use the National Resource of being able to create this money? * How much do the Fractional Reserve Banking Institutions pay each year in to Government Officials in the way of Campaign contributions, bribes and other consideration? 15. Resolve to read and study the Declaration of Independence. This writer hopes that you will find one or more of these proposed 2017 New Year’s Resolutions worthy of including in your own personal list of 2017 New Year’s Resolutions. Critical Thinking Notice – This author advises you as no politician would dare. Exercise Critical Thinking (sorry, your government has censored this link along with many others and I have not had the time to repost all of them yet.) in determining the truthfulness of anything you read or hear. Do not passively accept nor believe anything anyone tells you, including this author… unless and until you verify it yourself with sources you trust and could actively defend your perspective to anyone who might debate you to the contrary of your perspective. * You can keep your Doctor or insurance, and it is not cheaper but far more expensive. Far fewer formerly uninsured Americans than the 49Million, and then the later asserted 24 million, used to sell Obamacare became insured. 1.3 Million was the last number this writer heard as being the number of formerly uninsured Americans who are now insured under Obamacare. This writer asserts that 1.3 Million does not justify throwing out the entire traditional healthcare system. And finally, Obamacare has been demonstrated to be just politically correct for the Progressive Eugenics Program. ← HON or POS? Is Dakota County MN suspending the Rule of Law in the Sandra Grazzini-Rucki matter?